Black Book Sessions is a traveling creative group connecting the youth of local Southern California communities. Dedicated to promoting a positive educational forum through live art demonstrations, hands-on workshops, Q & A with industry leaders and an art contest for ages 9-23 years old. Students will compete for a chance to win prize packs consisting from swag to art supplies donated by participating sponsors and contributors. The 18-23 age category are eligible to win a college grant and/or internship opportunities. 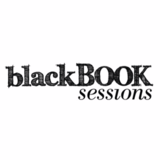 Each Black Book Session is a FREE community event made possible by in-kind donations. Summary of the organization: We started from a grass roots coffee shop in Alhambra with one motive, to increase the awareness of opportunities in the creative fields to young aspiring artists. Around 20 students submitted their art pieces and competed for a chance to win prizes in their age categories. Business sponsors within the community along with well known artists, volunteers, and art educators were able to acknowledge the students work as well as educate them in the different art career field avenues. From there, Eric “Mural” Martinez and his board of now 8 volunteer members have expanded the events all around Southern California, increasing in attendance to upwards of 1500 people. Each board member has a creative background in either graphic design, product devolepment and/or business management working for one the biggest premiere apparel manufacturers, Hybrid Apparel. With the help of our employer Hybrid Apparel and some of our participating sponsors Fighting for dreams studios, Westwood College, SGX media, Art Supply Warehouse, and many others whom also share in our vision. We’ve given away two full scholarships and four college grants to some well deserved teens. Which who are now attending or have completed their degree at some of the best colleges in creative arts. Furthering their pursuit of a higher education and focus of giving back to those around them. Since the beginning the mission became clear “to inspire and empower young creative minds” something that Mural, Founder of BBS, strives and pushes at every event and holds near to his heart. The team has expanded into bringing a gamete of different art styles into the upcoming events to diversify the reach by mentoring kids and teens within their own community. As an artistic community and family we support those that share the vision to give back and support others around them. Each year we host an art auction fundraiser with donated art by local artists or created by ourselves in order to raise funds. Partnerships are in process with school districts, colleges, and parents, creating an expanded support network for young artists in the community alike. Join us and follow us in expanding our family in giving back to local communities in a city near you!